I am going to stick to the two required, because I am hoping to finish a post I started with my list off ten books that have influenced me. When I was seven, going on eight, years old, I had been allowed to borrow a book from the school library for the six week summer holidays. It was Heidi. The headmaster had told me that I must be sure not to lose it, I must bring it back at the end of the holidays or else I would not be allowed to borrow a book again. I took his warning seriously. I read that book over and over that summer. I loved the story of Heidi so much. Can you imagine how devastated I was when my Dad broke the news one morning….our school (which by now I had grown to love) had been burnt down by three boys? It was completely destroyed. Two were fourteen years of age and the other had just finished year 6 – he must have been eleven. I still remember his name, but not the other two boys. 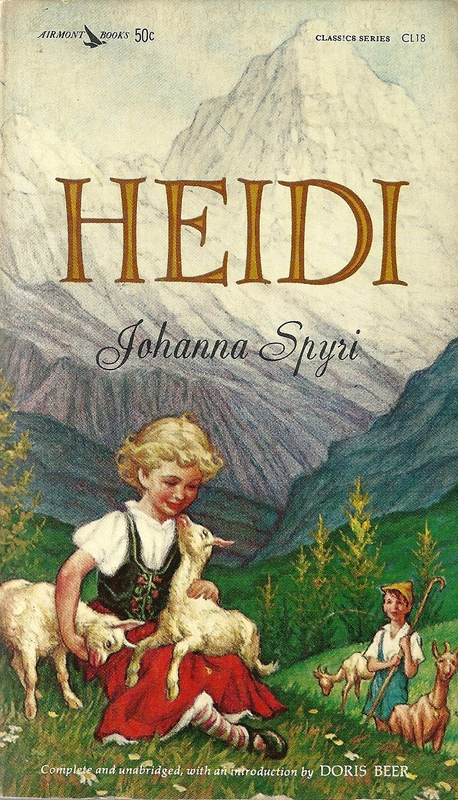 I always treasured my copy of Heidi because it was a piece of my old school. The Headmaster was touched when I showed him I had kept it safe. He asked me to look after it because it had become a very special book. When I left home at the age of twenty-five, I realized there was no way I could take my huge book collection with me. But my special copy of Heidi is a book I could not abandon. Even now it is in my bed-side table. I have been looking after it for almost thirty years. My Dadda was utterly lost in his life. He had made some bad decisions which had consequences that would tie him for the rest of his life. He was intensely sad. His father had died in childhood as well as two of his siblings. He had many questions. He was disillusioned with those he thought he could get help from, including religious teachers who had fobbed him off with nonsense when he asked them questions. He was dismayed by religious hypocisy. He had gambling debts. He used to get extremely stressed and was easily provoked and would become inflamed with fury. My Dadda read the scriptures for himself, they answered his questions…and motivated him to change his personality and stop his harmful habits. He became a loving husband and father. He is one of many I know who have made changes after reading this book, however, the changes he made directly effected my life as a small child and meant that my parents would ensure I had access to the best education available. I know some people have strong feelings against this book, yet it remains the most widely distributed and translated book in all human history. Seeing the wonderful effect it had on my Dadda and our family is just one reason why I respect it immensely. Two very special books to me….for deeply personal reasons. Whether you like them or not, you can’t doubt me for my sincere appreciation and regard for their influence on my life. I am probably one of the worst people to answer this question because so much art is wasted on me, especially modern art or abstract art. I should have asked Goldfinch to help me with this one. I do wish I knew more about art and had more ability myself. I gave up on drawing or painting myself when my art teacher at high school gave me poor marks for everything I attempted. I kind of lost interest. So I feel I am rather a dimwit when it comes to understanding art that is not plainly obvious to me. 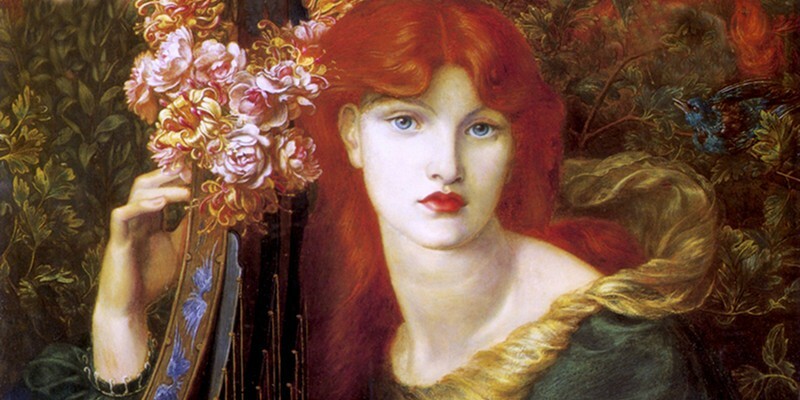 Years after I left school, I went to an exhibition of Dante Gabriel Rossetti. I took my time and looked at every single display and read the information plaque with each exhibit. I really enjoyed myself. 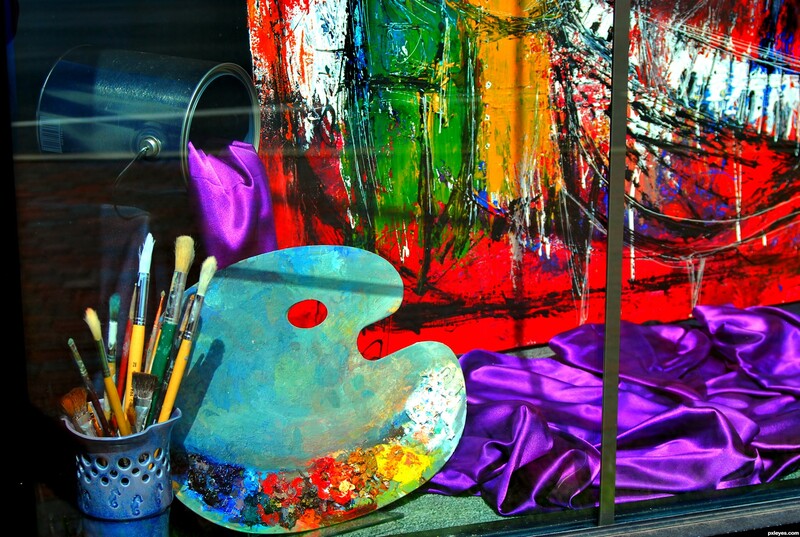 It was the first time I had become interested in any kind of art again. I visited other art galleries when I had the chance, but often wandered around feeling quite lost, even perplexed, because I didn’t understand why what I was looking at was in a public gallery and I was unmoved by what I was seeing. Later, I visited the Museum of Fine Arts in Houston. I enjoyed myself so much. There was a fascinating display about poignant journalistic photography. I can’t remember everything I saw, but it was scenes such German and English politicians sharing a cup of tea prior to the outbreak of the second world war. Each photo was extraordinary to glimpse because they captured a moment that seemed so ironic considering the historical events that followed. It was a very clever exhibition that was very provoking. 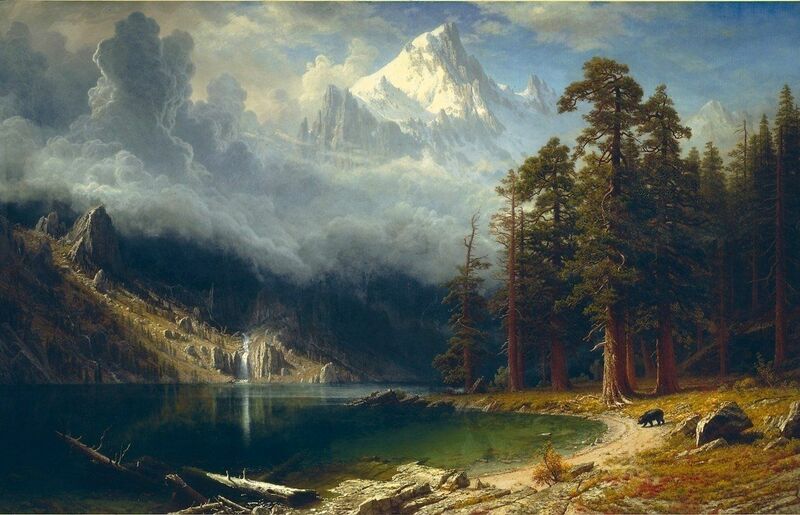 But what I really enjoyed was American landscape paintings. I finally found something that made my heart jump. I think that is when I realized that for me, the art I personally respond to is when someone can capture the majestic grandeur of nature. What touches my heart is the art I already see in the sky as the sun rises or sets, the art I see every May when gardens here start to erupt into an exquisite cocktail of colours, the art I am rewarded with when I walk up a fell range and the view makes my heart leap. 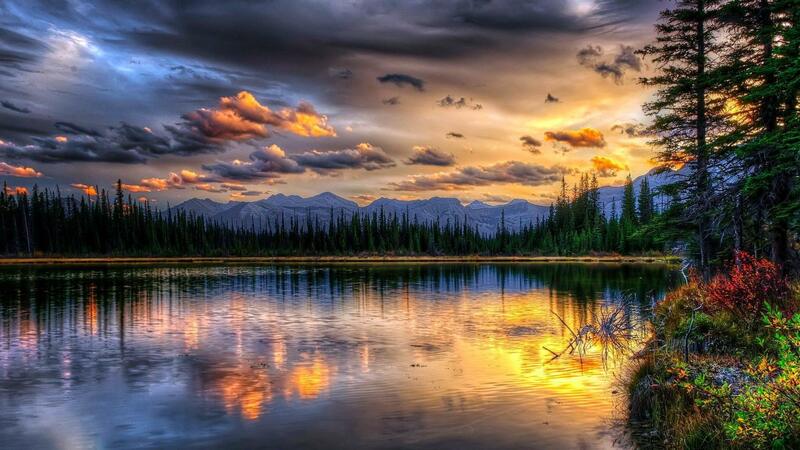 I love the art in nature. And in all honesty, my favourite art on display in galleries are paintings capturing the wonder and marvel of nature in splendid detail. The artist that can capture the wonders of nature…I am going to pay to go and see their exhibitions in galleries and buy their paintings for my little nest. But I totally respect that art is like music – there are many different genres and some art will speak to one audience but not to another. Personally, I feel I am a bit of an ignoramus when it comes to art. Goldfinch loves art. He would probably give you a much better answer to this question than I have. What annoys me? I am not easily annoyed. I think the things that would annoy me, like racism, wilful ignorance or being belligerent and dogmatic, mocking someone else’s treasured beliefs, someone who thinks they deserve “better treatment” because they are wearing designer clothes or a flashy watch, would probably annoy most people. I guess I am annoyed by people who have little consideration for fellow humans and lack respect for those with a different culture or outlook. Poor manners and behaviour like the examples I have mentioned make me cringe, and it is a challenge for me at times to remain silent. Words come into my head at times, but, hey, who am I to go around belittling eeeeeed-yats?!!! Better just to live by principles I admire, consideration for others and respect and dignity towards a member of my human family. Hmm…well there is one thing that I find a little annoying. There is a store here that I really like. I tend to go there to buy underwear. (No pictures for this subject!…well, a thermal sock, that will have to suffice.) Now every time I go to the counter they want me to sign up for a store card. Now I don’t have any problem with store cards, loyalty cards etc. I have worked in retail, and I know that the little information store cards can gather about their customers can help them make effective and efficient decisions when it comes to marketing and supplying which products to which stores. I don’t have any problem with a shop or business offering store cards, loyalty cards etc. But the store I mention, their store card is a credit card. I don’t want any kind of credit card, loan, mortgage. I want to avoid debt until my dying day. I have seen the effect it can have on people. I had a credit card when I was twenty-one (it was handy when I was travelling to have a credit card) and I decided credit cards are not for me. Every time I go to this store, the assistants try really hard to convince me to sign up for their store credit card and I explain over and over, I don’t want any kind of credit. It becomes a bit embarrassing because they try so hard to convince me and I don’t like being difficult. I know those assistants are just doing what they have been asked to do by management. But I am resolute, I want to live in the black, not the red. It’s a personal choice, some people are fine with juggling credit and are pleased to have a good credit score. But it’s not for me. What or who in your life brings you the most joy? I have a wonderful family…really wonderful. I have a wonderful world of friends. But because I am very soon going to lose him, I will mention the man I met one year ago who has been bringing me great joy…of course, my wonderful Goldfinch! The past few years have been turbulent for me. The excruciatingly painful situation that dragged on with my ex-flatmate wore me down and caused me deep distress. Waking up one morning finding myself in an ambulance on the way to hospital after being the victim of a crime that has turned my life upside down. I had been feeling low. I was finding it really hard to imagine being happy in love again because I was so edgy and cautious around the men who tried to date me. Then I met Goldfinch…and everything was right. Bless him, he had a mighty nose-bleed last night at the most inopportune time! He was embarrassed. I don’t know if he has any idea how special to me memories like that are going to be for years to come. 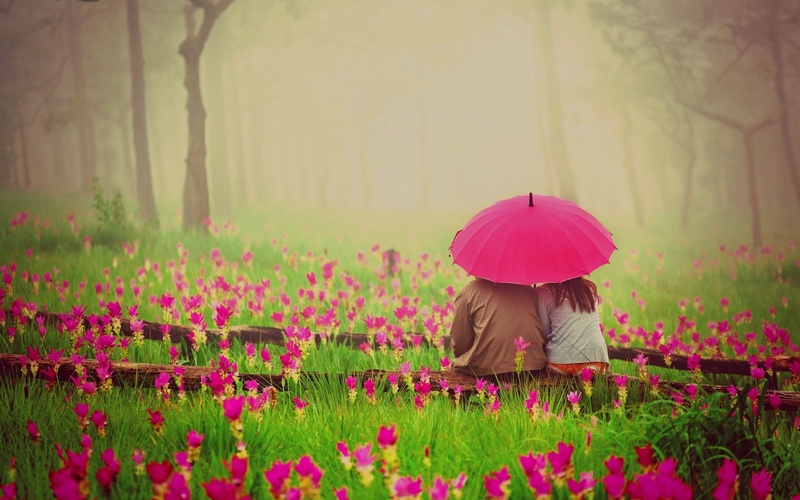 You should see how enormous my smiles become when I am with him. I am a smiler anyway…but my smiles are even bigger with him. Thanks for sharing. Very touching . Thanks Sadje…they were sweet questions from Melanie weren’t they. Looking at your posts makes my heart leap! The one I saw (was it today or yesterday) was so stunning. Don’t you worry….there are lot of bloggers and some of my favourites are prolific,they sometimes publish ten posts a day!